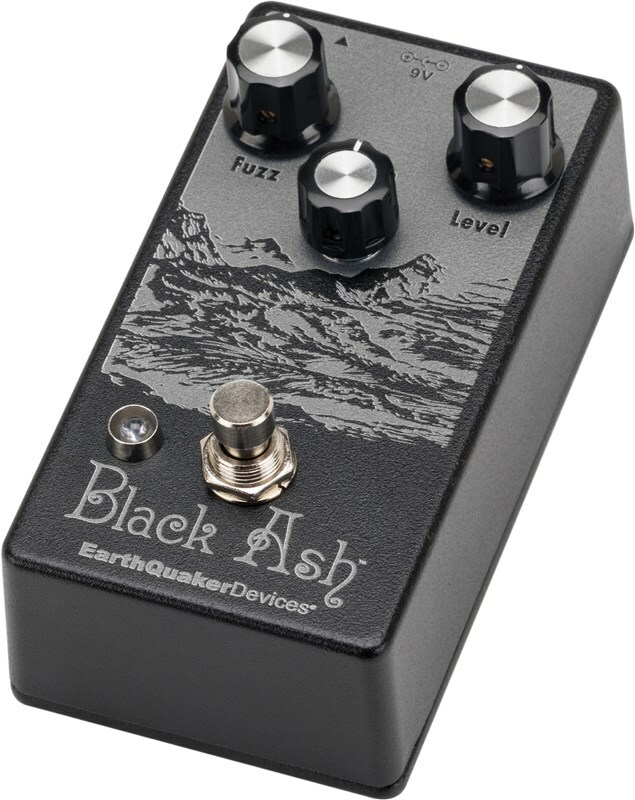 The EarthQuaker Devices Black Ash Endangered Fuzz, taking cues from the legendary "three-knob" Tone Bender, Black Ash is a limited-run fuzz/overdrive pedal. 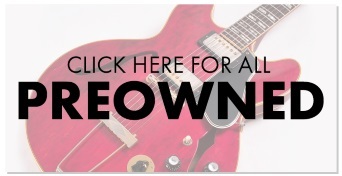 It uses a highly curated selection of premium components, including paper-in-oil capacitors and half-watt carbon composition resistors, from EarthQuaker Devices president Jamie Stillman’s personal collection of rare components. 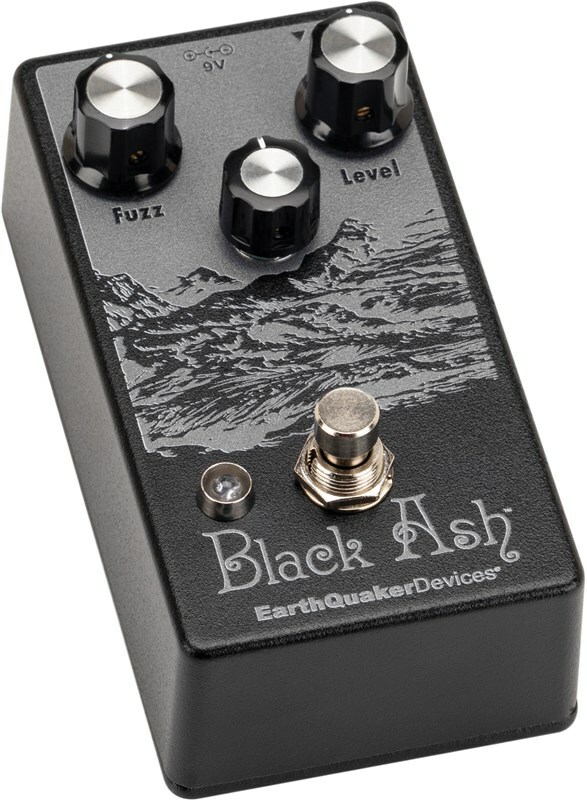 Limited to only 1,500 units worldwide, Black Ash lights a fire under a classic fuzz/drive circuit and delivers an explosive-yet-detailed treble response, a sturdy and articulate midrange and subterranean bass extension. 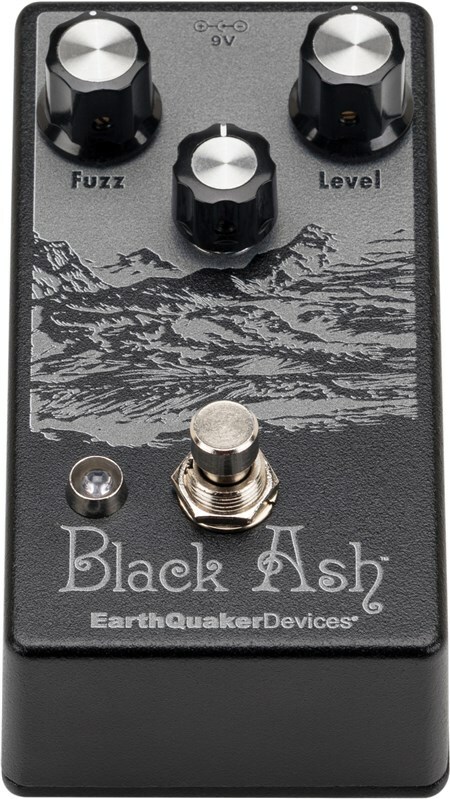 The three controls on the surface of the Black Ash are for Volume, Fuzz and Top. 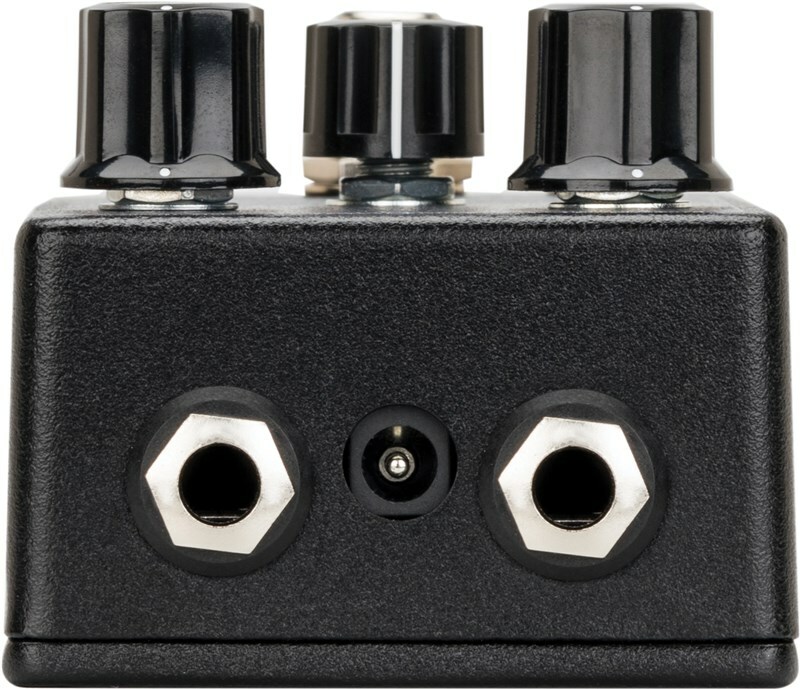 Volume sets the output level with unity gain around 10 o’clock and Fuzz adjusts the amount of gain - from cooled-off amp-like breakup at lower levels, to scorching fuzz tones when cranked. 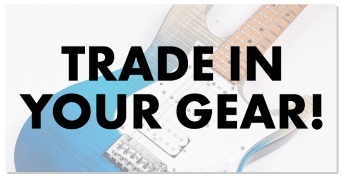 While the Top control works on frequencies between 2kHz and 10kHz to adjust how "forward" the guitar sits in the mix, helping pair the Black Ash with different pickup types. At lower Top control settings, Black Ash takes on an organic, yet woody character that blankets the signal in warmth, just like an ol’ Kentucky hug. As the Top knob is increased, new harmonics appear and the Black Ash gives a stiffer response, with a sharper attack that can make humbuckers chime and will make single-coils glisten like pearly dewdrops in the morning sun. 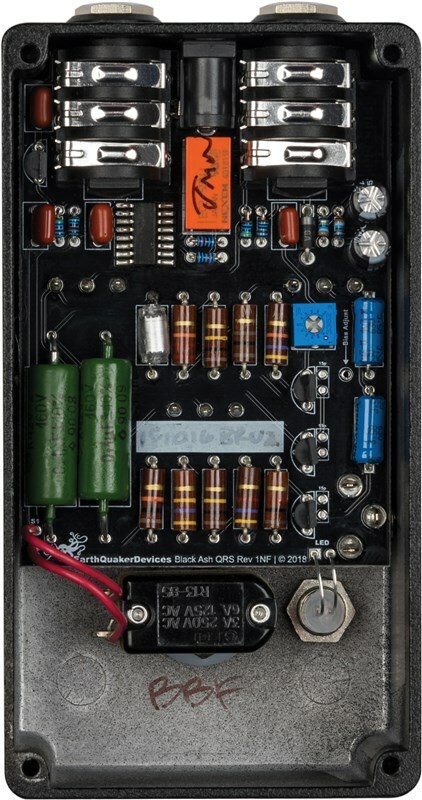 We find the Top control to be most pronounced when used at lower Volume and Fuzz settings with low-to-mid-output pickups and an amp that is reasonably clean or is on the edge of breakup. Each Black Ash is built one-at-a-time, the hard way, by hand by amateur dendrologists in the arboretum of Akron, Ohio, USA.